If one accepts the proposition that the trial judge has a duty to exclude unreliable experts, a host of concerns inevitably follows. How is a trial judge to assess the scientific or technical adequacy of expert testimony if even a cursory understanding of the issues requires specialized training? Can anyone without such training fully understand the issues and come to a rational conclusion as to their validity? To what degree can the trial judge rely on the expert's own assertions about his or her qualifications? All of these concerns carry heavy weight for in many cases the trial judge is hardly a more qualified assessor of scientific credibility than the jury itself. In this introduction and the papers which follow it, we have laid out some possible answers to the myriad questions raised by judicial gatekeeping. This first paper attempts to establish a historical perspective on gatekeeping in New Mexico. The papers which follow it give a more generalized picture of the gatekeeping debate. Ultimately we hope that you find these materials helpful in formulating or fine tuning your own approach to science in the courts. With the adoption of the Federal Rules of Evidence in 1975, courts, scholars and practitioners alike began to question whether Frye would survive as the sole admissibility standard for expert testimony. Under the Federal Rules, judges were seemingly afforded more discretion in making admissibility determinations. Rule 104(a) assigns judges the responsibility of making a preliminary determination on whether to allow a given expert to testify. Rule 702 goes on to guide this decision by requiring the judge to determine whether the admission of such testimony will assist the trier of fact to understand evidence or determine a fact at issue. Finally, Rule 403 suggests that the judge may exclude evidence if its likely prejudicial effect outweighs itsprobative value. The question was then to what degree would the arguably conservative Frye general acceptance standard survive in the wake of the presumably more liberal admissibility framework embodied in the new Federal Rules of Evidence. New Mexico can trace its history of judicial gatekeeping and the adoption of the Frye standard to two early cases. In State v. Lindemuth(7) the New Mexico Supreme Court affirmed the district court's exclusion of expert opinion testimony that was not "reliable or generally approved and accepted by members of the medical profession specializing in psychiatry." The Lindemuth Court held that in order for scientific evidence to be admissible, the scientific technique or principle about which the expert proposes to testify must be "accorded general scientific recognition. "(8) Though it never directly cited to Frye, the Court effectively adopted the reasoning and standards originally articulated in Frye. The Frye decision was not actually mentioned by name until State v. Trimble. (9) In Trimble the Court relied on Frye not so much for the "general acceptance" standard, but instead to support the exclusion of polygraph results when they were objected to by a defendant. The Court quoted "with approval" the section from the Frye decision where the "general acceptance" test was articulated because "[t]he reasons given for the refusal of such [polygraph] evidence was so cogently stated by the court. "(10) By quoting from and agreeing with the language that formed the holding of Frye, the Court effectively set "general acceptance" as the standard for judging the admissibility of scientific evidence in New Mexico for the next 30 years. 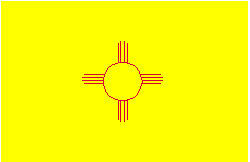 The New Mexico Rules of Evidence became effective on July 1, 1973. They were closely patterned after the Federal Rules of Evidence, and New Mexico quickly proceeded to apply the "liberal thrust" of the new rules to their jurisprudence. (11) Just as Daubert held that the Federal Rules of Evidence superseded Frye, New Mexico's post-rules case law often suggested that the new rules had liberalized the standards for admission of scientific evidence. The court went on to state that simply because a diversity of opinion surrounds a scientific procedure, it is not enough to justify a per se rule of inadmissibility: "We agree with Professor McCormick's approach: 'McCormick . . . believes that disagreement in the scientific community regarding the reliability of a scientific process should go to the weight rather than the admissibility of scientific evidence. '"(21) This approach is clearly inconsistent with a pure application of the Frye "general acceptance" standard. Indeed, such deference shows the extent to which the enactment of the New Mexico Rules of Evidence subsumed the Frye standard and empowered New Mexico juries. Continuing this anti-Frye trend the New Mexico Court of Appeals in Fuyat v. Los Alamos National Laboratory(22) declined to employ a Frye analysis to testimony in the field of clinical ecology which as a speciality had not attained recognition from the American Medical Association. Instead, the Court of Appeals stated that in accordance with Rule 11-702 expert testimony is admissible, "when an expert is properly qualified and the evidence would assist the trier of fact. "(23) By focusing its inquiry solely upon the expert's qualifications, the Fuyat court effectively dethroned general acceptance as a dispositive admissibility criterion in New Mexico. It would take another two years, however, for the New Mexico Supreme Court to declare Frye officially dead. In State v. Alberico(24) the Supreme Court of New Mexico unequivocally abandoned the Frye test in favor of a modern rules-based approach to admissibility similar to the federal courts' practice under the Federal Rules of Evidence and Daubert. Along these lines, Alberico instructs trial courts ruling on admissibility to be concerned primarily with whether expert testimony is competent under Rule 11-702. (25) The state supreme court discerned three prerequisites for the admission of expert opinion testimony under Rule 11-702. The first requirement under 11-702 is that the expert be qualified in the particular field in which he or she is testifying. (26) The second consideration noted in Alberico is whether the testimony will assist the trier of fact. (27) Finally, the court noted that the expert's testimony must be limited to "scientific, technical, or other specialized knowledge" so as to distinguish it from normally inadmissible lay opinion testimony governed by Rule 11-701. (28) With these three criteria in mind the Alberico court framed the issue of the proper admissibility standard by stating that, "the critical issue is whether the Frye test is a legitimate means for determining what is and what is not scientific knowledge. "(29) The court's answer was a resounding "no." The court further asserts that although scientifically interrelated, validity and reliability are each related to separate evidentiary concepts,"validity relates to the measure of determining whether the testimony is grounded in or a function of established scientific methods," and that "reliability is akin to relevancy in considering whether the expert testimony will assist the trier of fact. "(37) In the end the Alberico court seems confident that both evidentiary concepts are addressed by exploring validity as a whole. Acting on this definitional mandate, the state supreme court decided State v. Anderson(44) which further embraced the Daubert admissibility standards examined in Alberico. Anderson used the four reliability criteria listed in Daubert(45) and suggested in Alberico to provide an analytical framework for determining the admissibility of DNA evidence. In ruling that DNA evidence did meet the threshold of reliability under Rule 11-702, the Anderson court methodically addressed each of the Daubert standards in order. Whether state courts will engage in such a structured inquiry each time they face an admissibility question remains to be seen. What is clear, however, is that New Mexico has long been ahead of the curve in fleshing out the judge's role as gatekeeper. Upholding a judge's right to exclude given expert testimony on the basis of perceived analytical gaps in the science is an unprecedented broadening of the gatekeeper role. Such a ruling at first seems to run contrary to the "liberal thrust" of the Rules of Evidence as articulated in Daubert. It remains to be seen whether courts will be as deferential when judges exercise their discretion in favor of admissibility of arguably questionable scientific evidence. How Joiner will effect New Mexico and states like her that employ the abuse of discretion standard also remains to be seen. 6. Compare N.M. R. Evid. 11-702 "If scientific, technical or other specialized knowledge will assist the trier of fact to understand the evidence or to determine a fact in issue, a witness qualified as an expert by knowledge, skill, experience, training or education may testify thereto in the form of an opinion or otherwise." with Fed. R. Evid. 702 (1996) "If scientific, technical, or other specialized knowledge will assist the trier of fact to understand the evidence or to determine a fact in issue, a witness qualified as an expert by knowledge, skill, experience, training, or education, may testify thereto in the form of an opinion or otherwise." 7. 56 N.M. 257, 271 (1952). 8. Lindemuth, 56 N.M. at 271. 9. 68 N.M. 406 (1961). 11. See Leo M. Romero, The Admissibility of Scientific Evidence Under the New Mexico and Federal Rules of Evidence, 6 N.M.L.R. 187, 188 n.5 (1976). The Romero article provides an excellent analysis of the evolution of New Mexico scientific evidence admissibility standards and the effect the new rules had on those standards. 12. Admission of polygraph results by stipulation of the parties is allowed in 18 states, and in the 31 remaining states, polygraph results are inadmissible. 13. 88 N.M. 184 (1975). 14. Dorsey, 88 N.M. at 185. 15. State v. Beachum, 97 N.M. 682, 688 (1981). 16. It is worth noting here that New Mexico formally codified its open admissibility of polygraph exams with Rule 11-707 on July 1, 1983 (amended July 1, 1990). The rule sets out the minimum qualifications necessary to have a chance at being qualified as an expert, the standards and procedures that must be followed in conducting the exam in order for the results to be admissible, notice requirements to the opposing party, recording requirements of the tests, admissibility determinations by the court are to be made outside the jury's presence, and a prohibition against compelled polygraph examinations. 17. Beachum, 97 N.M. at 688 (emphasis added). 19. See, e.g., Simon Neustadt Family Center, Inc. v. Bludworth, 97 N.M. 500 (1982) (holding that the trial court properly refused to admit any evidence of results of psychological stress evaluation where the person offered to present the results was not an expert). 20. Simon Neustadt, 97 N.M. at 505. 21. Simon Neustadt, 97 N.M. at 505 citing Giannelli, The Admissibility of Novel Scientific Evidence: Frye v. United States, a Half-Century Later, 80 Colum. L. R. 1197 (1980). 22. 112 N.M. 102, 811 P.2d 1313 ( Ct. App. 1991). 23. Fuyat, 112 N.M. at 106. 24. 116 N.M. 156, 861 P.2d 192 (1993). 25. See Alberico, 116 N.M. at 164. 26. See id. at 166. 27. See id. citing State v. Blea, 101 N.M. 323, 326, 681 P.2d 1100, 1103 (1984). 30. 753 F.2d 1224 (3d Cir. 1985). 31. See Alberico, 116 N.M. at 167 citing Downing, 753 F.2d at 1237. 32. See Alberico, 116 N.M. at 167 citing Daubert 113 S.Ct. at 2794. 33. See Alberico, 116 N.M. at 167. 38. The court suggests psychiatry or psychology as possible examples. See id. 39. The court suggests astrologers as a possible example. See id. 44. 118 N.M. 284, 881 P.2d 29 (1994). 45. See supra From Frye to Daubert: Judicial Gatekeeping in the Federal Courts. 46. 118 S. Ct. 512 (1997). 47. New Mexico employs a similar abuse of discretion standard. See Alberico, 116 N.M. at 169. 51. See id. citing General Electric Co. v. Joiner, 865 F. Supp., 1310, 1326 ( N.D. Ga. 1994). 53. Joiner, 118 S. Ct. at 517 (citations omitted)..